Hey Tampa! Lisa here with an update from one of our favorite performing arts centers. The Straz Center has exciting news! The David A. Straz, Jr. Center for the Performing Arts is one of four recipients of the 2011 Arts Presenters/MetLife Arts Access Awards. These awards are presented to performing arts organizations that have gone above and beyond in the dedication and approach to either engaging individuals with disabilities to experience and value the performing arts, or engaging under-served communities that lack access to the performing arts. This award will be presented at the 54th APAP/NYC Conference Awards Luncheon on Monday, January 10th in Washington DC. The specific awards the Straz Center won is the Exemplar Award. The won this award through engaging individuals with disabilities, in part, due to the organization&apos;s long standing commitment and dedication to working with individuals with disabilities. Through the Open Doors Program, the Straz Center works to make the arts more inclusive and accessible for people with disabilities. This program focuses on exceeding ADA compliance and embracing a comprehensive view of the diverse needs of residents and visitors in the community. 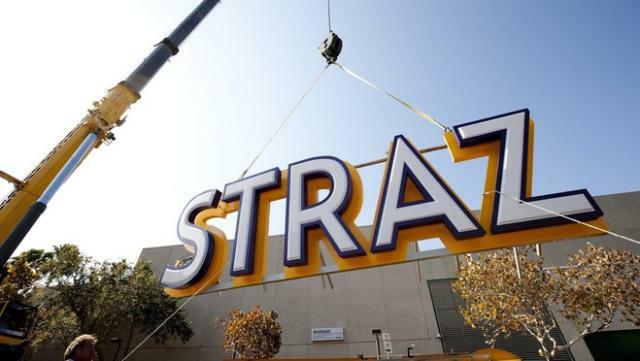 With only four awards going out nationwide, it is quite an honor to have one of the recipients be our own Straz Center. Congratulations on all of your hard work, and being a pioneer for Arts and Culture in Tampa Bay. That&apos;s all for now, but stay tuned for more Tampa Florida News Updates, and Things To Do In Tampa Bay!